dress in sparkles: Chloe Marci Giveaway! Now…it's time for a fabulous giveaway! 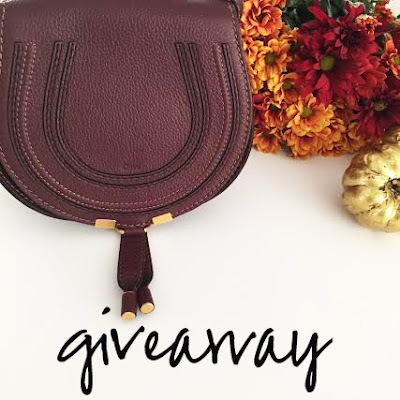 I've teamed up with an amazing group of bloggers to give YOU a chance to win: a Chloe Marci handbag in bordeaux for fall! (retail value $795 + tax) Simply enter below by completing the rafflecopter. You'll receive one entry per completion. This giveaway is open internationally and runs until 10/31. Winner will be announced here. Good Luck!